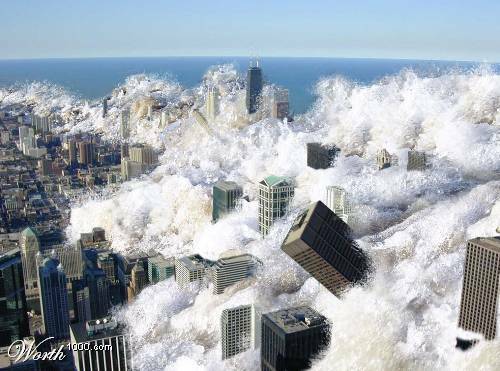 In October of 2009, I warned about a tidal wave of distressed property sales coming our way, and it now appears as if they have arrived. 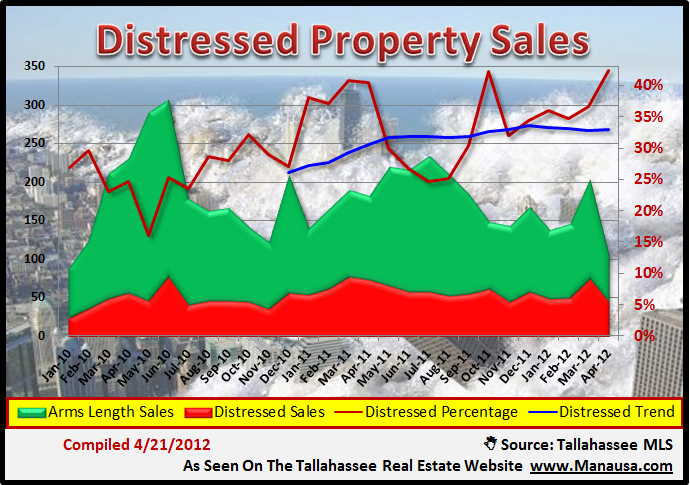 Thus far in April, 42% of all residential closings were distressed property sales, and the one year average is at 33%. Simply put, one in every three homes sold in Tallahassee over the past year has been a short sale, foreclosure, or bank owned property. When we look at a graph of the rising trend, the analogy of the tidal wave is hard to overlook. In the real estate graph below, we see arms length home sales plotted in green, while distressed property sales are shown in red. The monthly measurement of distressed properties as a percentage of all homes sold in Tallahassee is shown in red, and the one year average is shown in blue. Now that the robo-signing scandal is behind us, don't be surprised when we see that red line start popping above the 50% level. The market for short sales in Tallahassee is growing, as banks are reducing the time it takes to process a file. This can only be seen as a step in the right direction, though arms-length home sellers will be hard pressed to sell a home without competing on price. I hope this distressed property sales report was enlightening, and of course, you can drop me a note any time to schedule a time to help you into or out of a distressed property situation.